Adanim – A tasty and satisfying experience. Guaranteed! Each teabag is filled with only the best possible ingredients and then individually wrapped, to maintain freshness and preserve flavor and aroma. Almost all Adanim tea products are organic certified, and all comply fully with strict international production standards. Why not enjoy a cup of great cup of Adanim bio organic tea? With more than 30 flavors to choose from, this great range of organic teas includes black teas, green teas, herbal teas and fruit teas. You can even purchase a super gift box filled with a variety of these teas. Start the day with a cup of Adanim tea or herbal tea. With dozens of flavors to choose from, brew yourself the perfect cup of Adanim tea or herbal tea to brighten up your day. 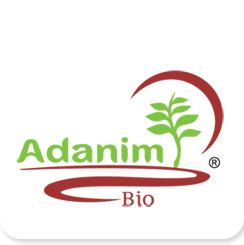 Cactus flower, tropical fruit, earl grey, chai masala and green Chinese tea are just some of the great tastes provided by Adanim. Relax with a delicious cup of organic, caffeine free fruit tea. With more than 20 flavors to choose from, this French brand by Adanim, Valdena, includes a unique line of fruit infusions – the only one of its kind on the market that is both organic and caffeine free!